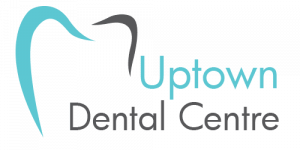 At Uptown Dental Centre in Edmonton, a root canal treatment, also known as endodontic treatment, is done to replace infected pulp tissue in a tooth with a filling-thus saving the tooth. The root canals of teeth consist of pulp, a collection of nerves and blood vessels which provide each tooth with oxygen and nutrients. If for some reason the pulp tissue becomes infected and is left untreated, the resulting infection and swelling in the tooth causes pain and can affect surrounding bone and gum tissues. Root Canal infections can be caused by a number of issues, the most common cause being untreated cavities that work their way down into the root canal of a tooth and infect the pulp tissue in the tooth. The result is a great deal of pain in that tooth. Other causes of infected tooth pulp may be damage to the teeth such as cracks, allowing debris to enter the root canal, old or damaged fillings that allow leakage into the root canal, or, infection spreading from the gums moving down into the root of the tooth. Regardless of the cause, infection in a root canal must be addressed urgently. Root canal treatment involves removing infected pulp tissue and filling the tooth with sterilized material. The procedure is carried out by your dentist over two or more visits depending on the number of roots in the tooth. Molars and premolars have several roots with multiple canals and can take longer to clean out. Once the local anesthesia has taken effect, your dentist will carefully isolate the infected tooth in your mouth with a rubber dam. 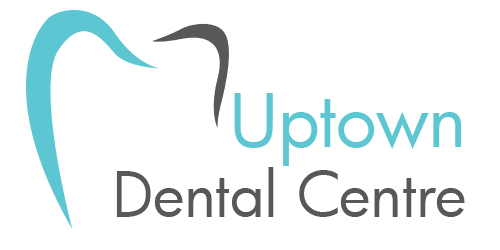 The upper layer of the infected tooth is opened and all infected material is scraped out of each root with the use of a series of specialized files. Each root canal is then sterilized and filled before the tooth is crowned to protect it from fractures. If the tooth has an active infection, your dentist may prescribe a short course of antibiotics to reduce the pain and infection. Parts of your mouth may be numb for several hours after the appointment. Avoid chewing and hot beverages until the numbness has worn off. Avoid eating hard or sticky foods and try to chew on the other side of your mouth while you have a temporary filling in place. Take any pain medication prescribed by the dentist as recommended; staying on a prescribed schedule will help you stay ahead of the pain wave. It is normal to experience some discomfort for a few days after a root canal procedure. If your dentist has prescribed antibiotics, take them as directed, even if all signs and symptoms of pain and infection are gone.